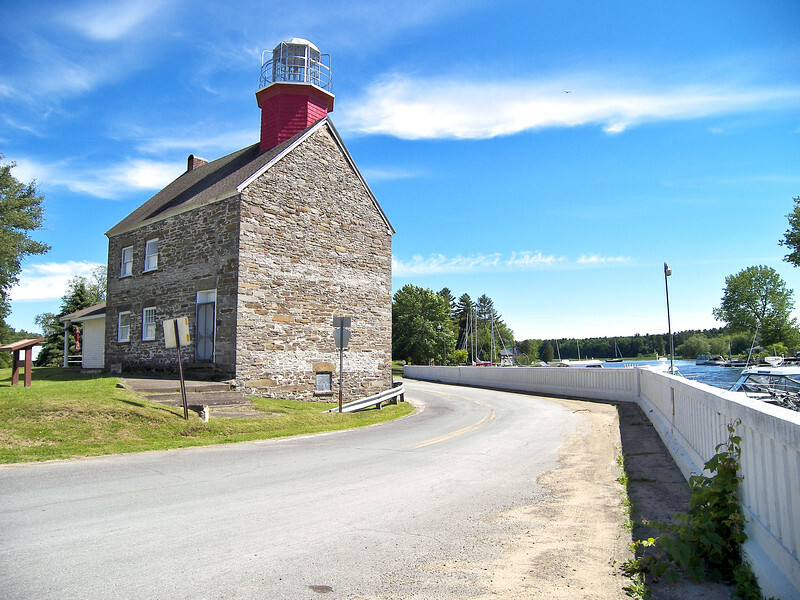 The Selkirk Lighthouse is located in New York where the Salmon River meets Lake Ontario. In the early 19th century settlers were attracted to the area by the large salmon runs which gave the river its name. The increased commerce led the Federal government to survey the area with the intention of building piers at the river mouth. When the survey showed a deep anchorage which could accommodate many ships the government decided to build a lighthouse. The light was completed in August of 1838 at a cost of $3,000. It utilized stone mined from a local quarry. Shortly thereafter two government piers were constructed at the rivers mouth.